Title:GREGORY CROCKETT, ET AL. v. MORTGAGE ELECTRONIC REGISTRATION SYSTEMS, INC., ET AL. Title:SERVICE EMPLOYEES INTERNATIONAL UNION LOCAL 205 v. METROPOLITAN NASHVILLE BOARD OF PUBLIC EDUCATION, ET AL. Title:STEPHEN WEST, ET AL. v. DERRICK SCHOFIELD, ET AL. Title:AMERICAN HONDA MOTOR CO., INC. v. THE TENNESSEE MOTOR VEHICLE COMMISSION, ET AL. Title:DELINQUENT TAXPAYERS AS SHOWN ON THE 2011 REAL PROPERTY TAX RECORDS OF THE METROPOLITAN GOVERNMENT OF NASHVILLE AND DAVIDSON COUNTY, ET AL. 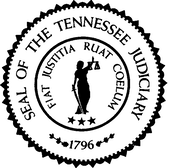 v. THE METROPOLITAN GOVERNMENT OF NASHVILLE AND DAVIDSON COUNTY, ET AL. Title:MICHAEL ANGELO COLEMAN v. TENNESSEE BOARD OF PAROLE, ET AL. Title:VOYA RETIREMENT INSURANCE AND ANNUITY COMPANY v. MARY BETH JOHNSON, ET AL. Title:CHRISTOPHER A. HAMILTON v. TENNESSEE BOARD OF PROBATION AND PAROLE, ET AL. Title:LESA C. WILLIAMS, ET AL. v. RENARD A. HIRSCH, SR. Title:ERIC BEST v. TENNESSEE DEPARTMENT OF CORRECTIONS, ET AL. Title:WESLEY FINCH v. O. B. HOFSTETTER/ANDERSON TRUST, ET AL. Title:INCEPTION MEDIA GROUP, LLC v. ANCONNET LLC, ET AL.